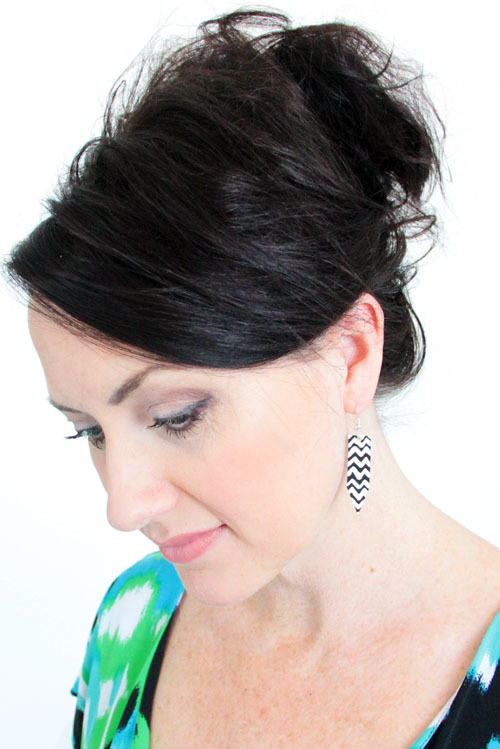 Did you seen these cute little DIY chevron earrings over at Alisa Burke‘s place last week? Wanna make them recycled? How about making your own fused plastic from plastic shopping bags. It’s so ridiculously easy – I’ve even done it with my 10-year old son (the fusing, not the earrings). Here’s a really easy-to-follow video from the Etsy lab for making your own fused plastic. Now think of all the possibilities! Bags, pouches, funky wall art – are the cogwheels on the right side of your brain churning yet? Make sure to hop over to Alisa’s blog to see how quick and simple it was to put together those earrings so you can make a pair for yourself. And if you are still feeling the love of a good chevron pattern, I’ve got a Pinterest board with nearly 100 inspiring chevron DIY examplesshowing you how to pump in some of this graphic goodness – including bold as well as subtle examples. Personally I’m a subtle chevron enthusiast – but I sure do appreciate those that go bold! What’s your take on the chevron design? Still going? Or has the trend fizzled?